Our office, a stones throw from Northampton town, houses a team of ACA qualified accountants and AAT certified bookkeepers. In addition, all staff in the Northampton office are proficient in Xero (and other cloud accounting packages) meaning we are ready to assist businesses with Making Tax Digital. 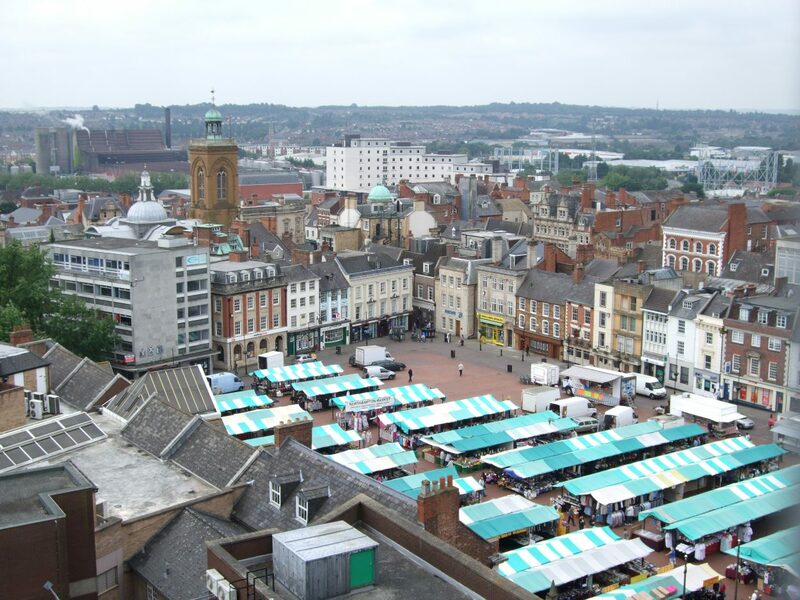 Our friendly and knowledge Northampton team are well connected to the local community and have a firm understanding of the local economy. This, combined with our in-depth tax and accounting expertise, allows us to provide a valuable and trusted service to all types of businesses in the area. Our Northampton office works with local businesses across Northamptonshire including Kettering, Wellingborough, Corby, Rushden and Higham Ferrers but also offers our accountancy and tax services nationwide. The team at Cottons in Northampton work alongside you and your business to ensure that we fully understand your requirements. Cottons regularly review your affairs to identify any beneficial alternatives to your structure and strategy. This also includes our future-proofing mentality, by ensuring we are ready for the implementation of HMRC Digital. As Platinum partners of Xero and also partners of Sage and Quickbooks, Cottons are able to support your business using the latest in industry standard software. We are able to aid in streamlining your business processes and give you access whenever you need it. These systems are future-proof and already set up to work with HMRC Digital in the future. The Cottons network of Chartered Accountants provides you with an unrivalled combination of size, expertise and friendly, personal service. Financial Forecasting and Cash Flow. Strategic Planning: Getting ready for growth. Having originally trained with Cottons in the 1990s, Will then pursued a career outside practice, eventually acting as a Chief Financial Officer. In 2003, a return to practice saw him set up his own firm in London, which he built and eventually sold. Will has remained in general practice since, and returned with his team and clients to Cottons as a partner in 2017. Will has looked after many of his larger clients for over 10 years. Will’s key aims are to assist small business owners and taxpayers in driving profitability and reducing tax: Through careful planning and a practical approach, he aims to increase wealth generation and retention. His particular interests include countering the current Government’s tax attacks on small owner-managed businesses, contractors / freelancers, and residential landlords. Sarah joined Cottons in 2005 whilst on a placement year for her degree. After graduating she was given a training contract with us and qualified as a member of the ICAEW in 2011. Based in our Northampton office she works mostly with owner-managed SMEs, across a broad range of industries, working with new businesses as well as those already established. Sarah also specialises in Solicitors’ Accounts Rules work, leading Cottons’ dedicated team, training others and working with a range of solicitors across the county. Sarah joined Cottons in 2017 as part of Will Smart’s team and is based in our Northampton office. Sarah has over 15 years’ experience in the industry and is qualified AAT and ACCA and member of the VAT Practitioners Group. She works closely with owner-manged SMEs in a wide range of industries ensuring their compliance but also ensuring good communication with her clients for the best possible advice/planning, without the jargon. She has vast knowledge of cloud accounting and is certified to use both Xero and FreeAgent, as well as being a Xero Champion. Her role also includes training and mentoring our junior staff to ensure their growth and expertise develops, building our future accountants. Jaymesh joined Cottons in 2015 and is a qualified member of the ACCA. He graduated with a BSc (hons) in Mathematics from the University in Nottingham and has a passion for working with numbers. He is based in our Northampton office and works closely with a wide range of businesses, assisting them with their Accounts, VAT and Tax planning. Outside of work Jaymesh enjoys playing a lot of different sports, mainly Football, Cricket and Golf. Matthew has been working in tax for over 20 years having worked with a variety of different business. Although he is able to help on with a wide range of tax advice from inheritance tax through to corporation tax planning he does have a special interest in working with business’ to provide tax efficient employee reward structures to help recruit, retain and incentivise existing employees. This can range from benefits in kind planning through to employee share schemes. In his spare time Matthew enjoys taking part in and also watching a wide variety of sports in addition to honing his Rubik's cube skills!! Rebecca joined Cottons in 2006 and qualified as a member of the ACA in 2011. Rebecca is based in our Northampton office where she works closely with a wide range of businesses, assisting them with their accountancy, VAT and other requirements. She is also involved in the training and development of our junior members of staff. She has experience in cloud software and is Xero certified. Beccy joined in Cottons in July 2017 as a trainee account within Will Smarts team and is based in our Northampton office. She started studying for her ACA in September 2015 and is progressing well. Her role involves working with owner managed SME’s and sole traders assisting with their bookkeeping, VAT returns, annual accounts and personal tax returns. She has experience in cloud software and is Xero certified & a free agent expert. Sam started as a trainee at our Daventry office in 2014, moving to our Northampton office in 2015. His main workload includes preparing accounts for SMEs, business taxation, VAT & book-keeping, as well as providing digital accounting advice and training. Sam is currently studying towards chartered status under the ICAEW framework. Outside of work, he is a keen football fan, supporting the mighty Wealdstone and is also involved in politics, getting elected as a Northants County Councillor in 2017. Serena Riley has been working for Cottons since October 2017, with over 20 years payroll experience. Serena specialises in payroll processing, pension deductions and all legislative requirements, also assisting and supporting clients with their own payroll processing queries, and basic employment law. Sarah joined Cottons in 2006 as a receptionist at our Northampton office and, after taking a career break to start a family, returned in 2016. Since returning Sarah has taken on the role of Company Administration Co-ordinator and now deals with all company secretarial matters including company formations, new client registrations and general administration. After many years of looking for the perfect career, and along the way trying jobs as diverse as Police Officer and Pony Matron, Miriam was delighted to land the position of ‘Filing Clerk’ with Cottons Accountants in September 2017. She thoroughly enjoys being part of this vibrant team and, most of all, to have a job that saves her a gym subscription – with so many stairs to climb and files to carry it keeps her super fit. Serena joined Cottons in July 2016 as a trainee accountant based in our Northampton Office. She is currently studying for her AAT qualification, and is Xero Advisor Certified. Her position involves working with owner-managed SMEs, completing VAT returns, bookkeeping and accounts for sole traders & Partnerships. Ross joined Cottons in 2018 as Marketing Manager. He works closely with each team in developing and supporting the marketing for the business. In his spare time, he enjoys going to the gym and training in various martial arts.